It is no secret that I love my coffee and I really love my specialty coffee! I just don’t love the price you pay at a coffee shop to get said coffee. 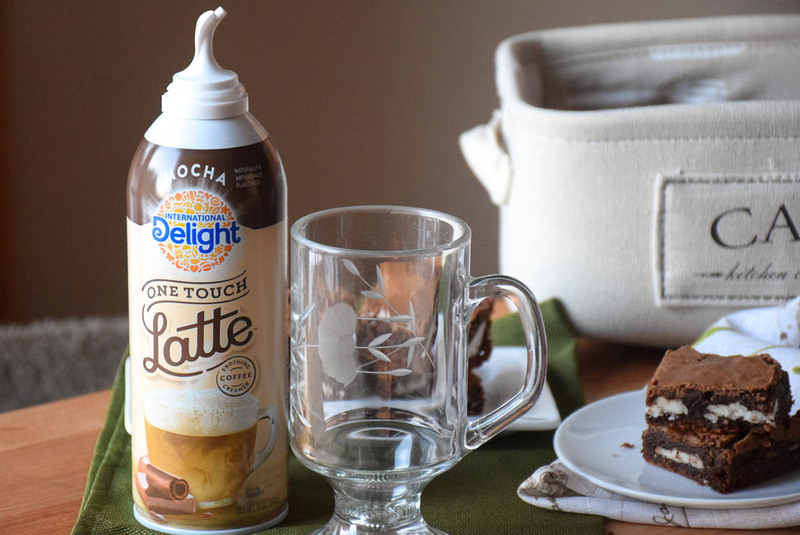 So, when I found International Delight® One Touch Latte™ – I was all over it! 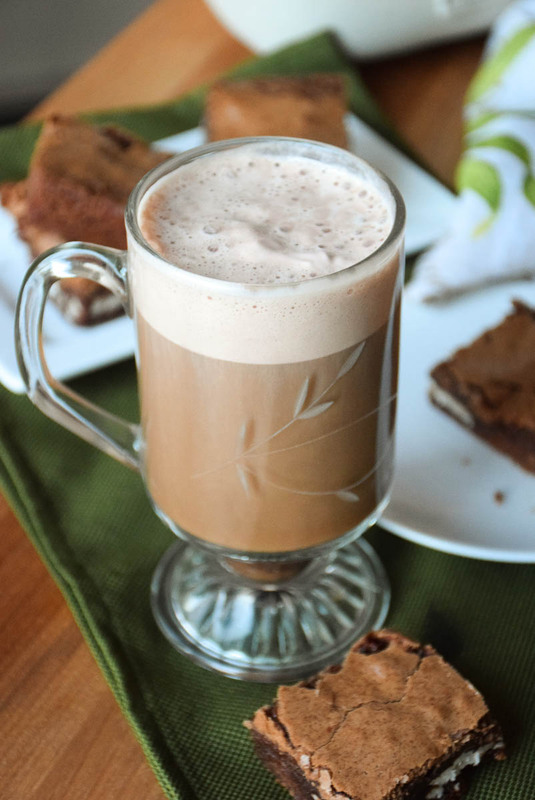 Making a Homemade Latte just got 100 times easier and more affordable! Right now, I am all about saving money. We are in the beginnings of a kitchen remodel. A complete and total renovation. So, every dollar saved really counts! For less than the price of one small latte at a coffee shop, you can make up to seven of them right at home, and it is as easy as can be! That is a lot of savings and in just 3-steps, you will have a hot, sweetened, foamy on top mug of deliciousness. While I do have my own latte maker at home, sometimes I don’t feel like using it and dirtying up my foamer. Not to mention, I can only make 1 mug at a time. 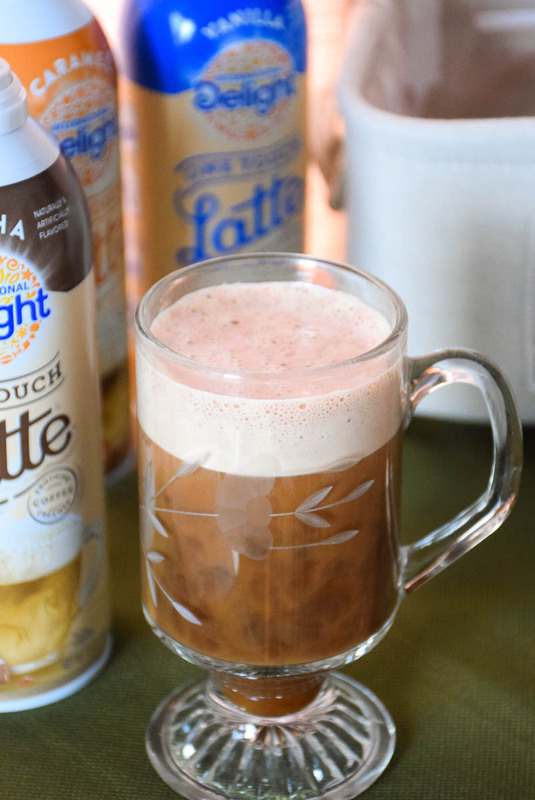 With International Delight® One Touch Latte™, I can brew a pot of regular coffee, fill the mug about 2/3 full, give the can a shake, point into the mug, shoot for 5-7 seconds and serve Grumpy and I both at the same time. I love that I can stop at Walmart and pick up a can of this frothing creamer to take to work with me. 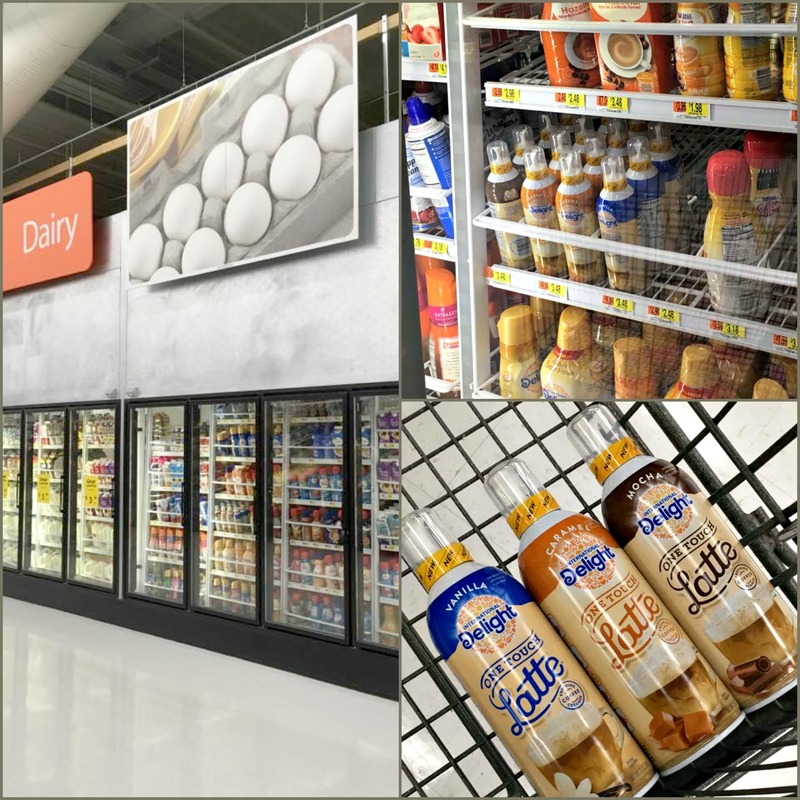 It’s easy to find right in the dairy section with all the other creamers! Now I can turn an ordinary cup of coffee into a latte and have it hot at my desk as I start the day! 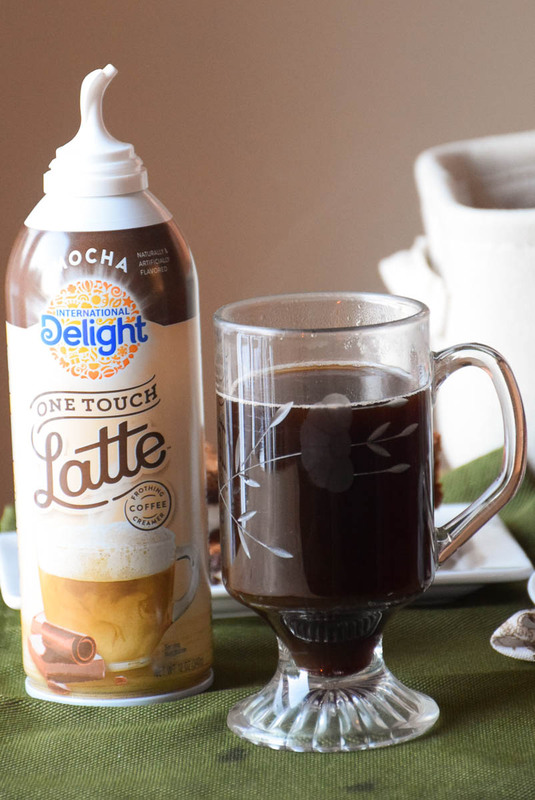 This frothing coffee creamer comes in three different flavors, French Vanilla, Caramel, and Mocha, making it easy to change up my flavor profiles all week long! 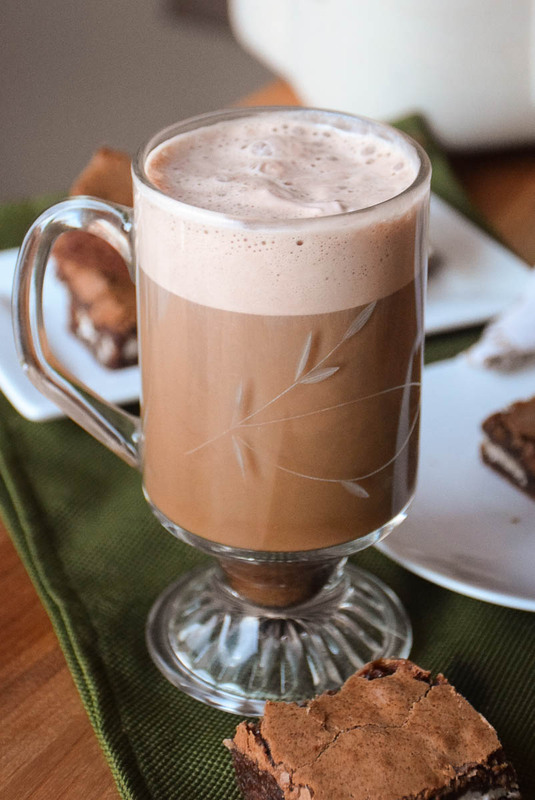 I also love that I now can have my latte when I travel home to visit my parents and can’t wait to share this easy and inexpensive way to have a coffeehouse latte right at home. Here is how to Point. Press. Obsess! Yes! It is that easy to turn your everyday coffee into a sweet frothy latte! What flavor will you try first? Any sugar free flavors yet? Ask them! Hi Rose, this product is made to work with hot coffee. I don’t think it would work well with cold coffee. You could use their regular creamer in your cold coffee, I have and it works great! Especially love the savings part too!